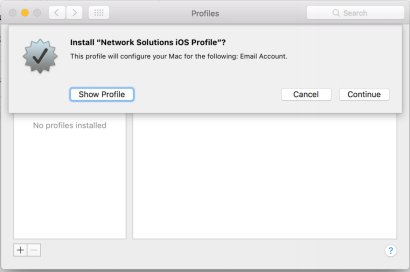 Network Solutions—How Do I Automatically Set Up Email on My Mac? Important: This article applies to Network Solutions® customers only. You can automatically set up your email box on your Mac device without having to enter any settings. 1. In the Safari internet browser, enter the URL in this format: mail.exampledomain.ext/ios. Note: For example, if your domain name is cutecats.com, then you would enter mail.cutecats.com/ios. 2. 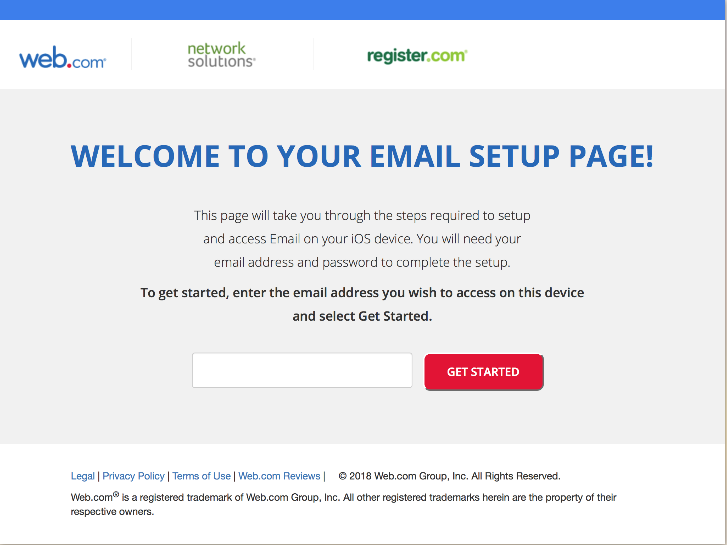 On the Email Setup Page, enter your email address, then click the Get Started button. A file named mail.mobileconfig is downloaded to your PC. 3. Click the Continue button. 4. Enter the password for the mailbox, then click the Install button. Your email setup is now completed. 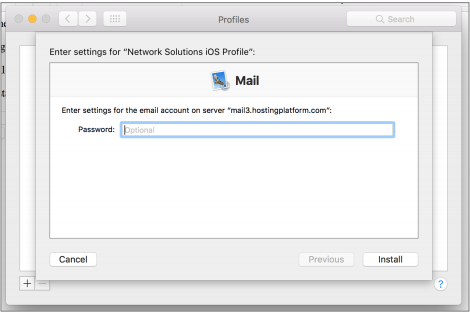 You can configure your email profile under the Profiles menu on your Mac PC. How Do I Set Up Email on My Mac? 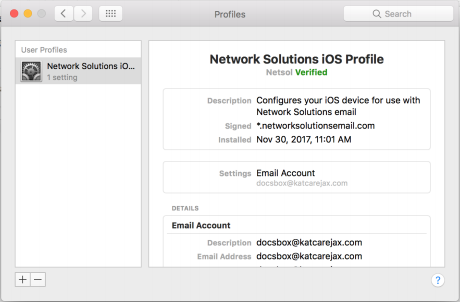 Mac Mail FAQs and Troubleshooting Network Solutions—How Do I Remove My Email Profile from My Mac?